The N.D.G. 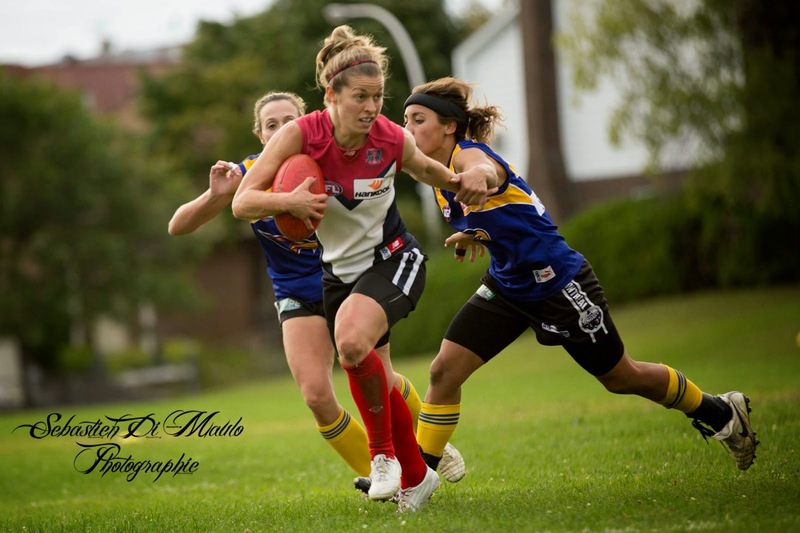 Devils produced a commanding 9 goals to 1 first half to eventually run away 55 point victors claiming the inaugural AFL Quebec Women's Premiership. After losing the opening four matches of the season the Plateau Eagles found some late season form winning three games and throwing the race for the Premiership Cup wide open. The triumphant return of Team Canada stars Margo and Aimee Legault proved too much for the Eagles who were stunned in the first half trailing at the main break by 47 points. The Eagles would steady in the second half, holding their own against the dominant NDG squad, but the game was already decided the Devils cruising to a memorable first championship. To view the fantastic photos taken by Sebastien Di Maulo check out AFL Quebec's Facebook page.